Apple only sells OS X Mountain Lion as a digital download in the Mac App Store. The installer weighs in at a hefty 4.05GB, but the good news is that you can install your copy of Mountain Lion on all of your Macs for no extra charge. Technically, the Mountain Lion installer can be used on an infinite number of Macs once you have it; you just need to make a bootable disk or drive. See, the Mountain Lion installer is set to self-destruct once it’s used. When your Mac reboots running Mountain Lion, the installer will be gone and you’ll have to re-download it if you want to use it again. Another reason to create a bootable copy of Mountain Lion is if you want to do a clean install. Apple’s installer will keep your files and personal setup intact while installing Mountain Lion, but a bootable disk will allow you to erase your Mac and start completely anew. 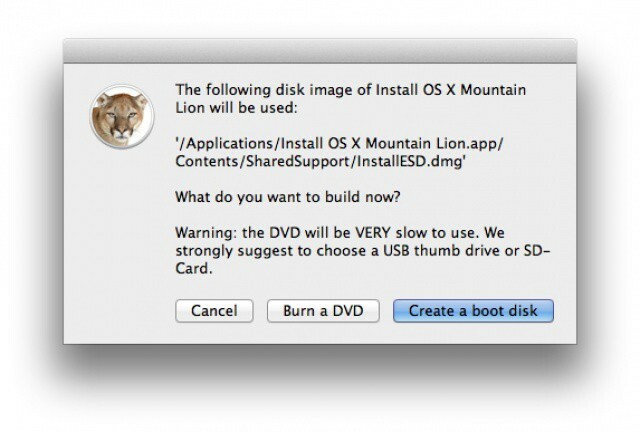 The good news is that creating a bootable disk or USB drive of Mountain Lion is pretty simple. Before you begin: You’ll need to make a backup of your Mountain Lion installer before trying to create a bootable copy. Use the copy you make to create a bootable disk or follow this process before you install Mountain Lion on the Mac you’re currently using. As we already told you, the Lion Disk Maker app has been updated with Mountain Lion support. 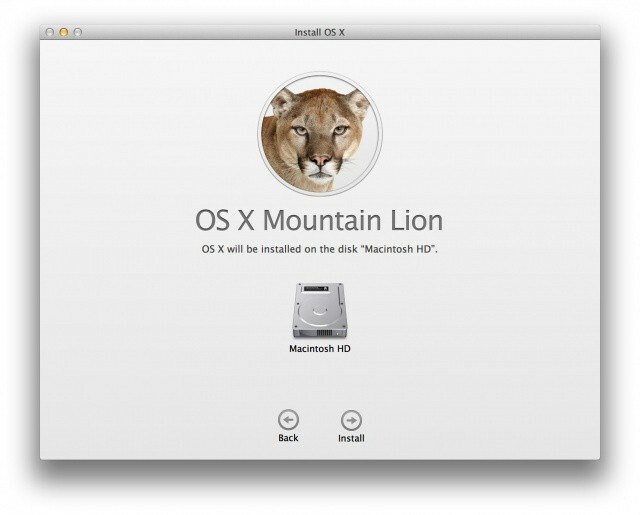 This simple, free app walks you through creating a bootable disk/drive of Mountain Lion. The whole process should take no more than an hour on even the slowest of Macs. Obviously, writing to a disk is going to take longer than creating a bootable flash drive or SD card. If you’d rather make a bootable copy yourself, then Apple’s Disk Utility is about to be your best friend. 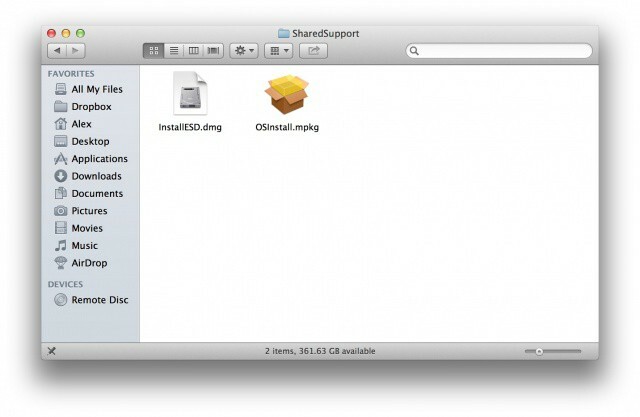 In Finder, right click on the Mountain Lion installer and click “Show Package Contents.” Navigate to Contents > SharedSupport. You’ll see a disk image called “InstallESD.dmg.” This is your ticket to creating a bootable copy of Mountain Lion. Open the Disk Utility app in the Utilities folder under Applications. Drag the “InstallESD.dmg” into the white box on the left side of Disk Utility, and the disk image will be added. Now insert your disk or USB drive. If you’re using a flash drive, make sure it’s partitioned as “Mac OS Extended (Journaled)” under the “Partition” section in Disk Utility. Make sure the drive is empty and that there is only one partition. To start making your bootable copy of Mountain Lion, drag the drive you just added to Disk Utility from the source list in the top left of the app’s white space to the “Destination” path of the “InstallESD.dmg” image. Hit “Restore” and let Disk Utility work its magic. For creating a bootable disk with your Mac’s SuperDrive, the process is even simpler. With the “InstallESD.dmg” selected in Disk Utility, click “Burn” in the top toolbar. Select the “InstallESD.dmg” image as the source for burning your disk. Once Disk Utility is done, you’re good to go. Insert your bootable disk or drive. Restart your Mac while holding down the option key. This will bring up the installer. Once your Mac’s hard drive is erased, quit Disk Utility and go back into the Mountain Lion installer. Choose your Mac’s hard drive and begin installing Mountain Lion. By following those steps, your Mac will be restored to Apple’s stock setup and all of your personal files will be gone. 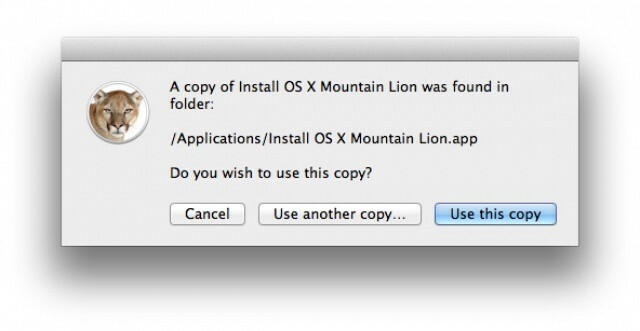 If you’d rather install Mountain Lion without a bootable copy and keep your setup the way it is, refer to our general tutorial. For more on Mountain Lion, be sure to read the official Cult of Mac review.